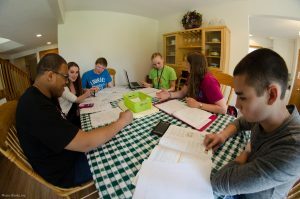 At Lourdes Campus Ministry serves the entire University community by calling forth the gifts and talents each person, regardless of faith tradition. Our Catholic and Sylvania Franciscan traditions, and the values of our students, faculty, staff and administration are at the heart of all we do. 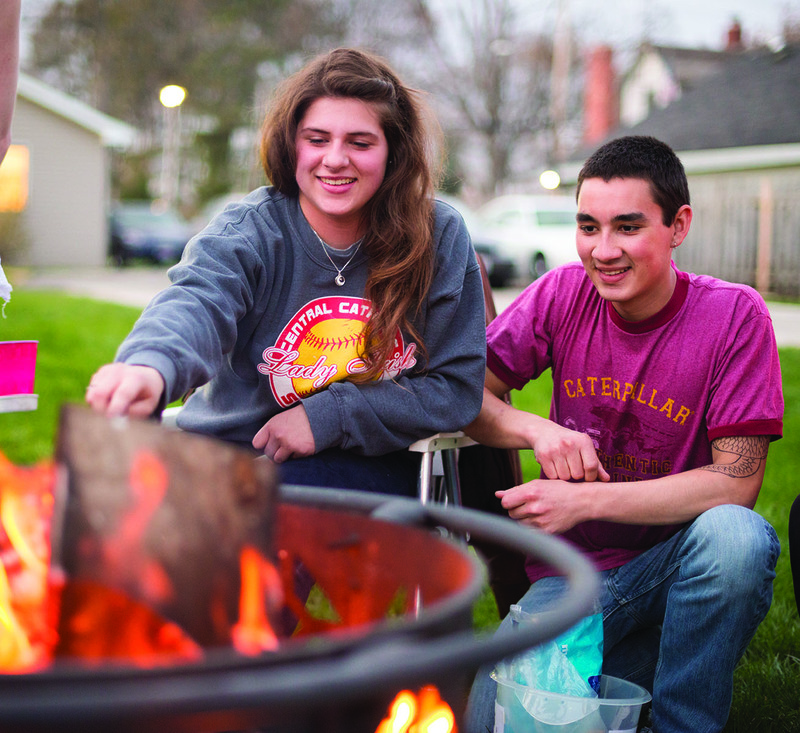 The interaction of our diverse faith traditions enriches campus life. Our goal is to help create a community whose faith is alive, informed, and active. Discover the Franciscan Factor in our Viewbook. In the spirit of our patron, Francis of Assisi, you will find the Lourdes community in the busy-ness of everyday life looking for ways to celebrate and share God’s blessings. It’s our Franciscan Factor. Spiritual and Social LINKS that include weekly liturgies, Soup & Scripture, retreats, ice cream socials, and Walks with Francis (learn about St. Francis while making a pilgrimage on campus). Outreach Ministry LINKs that include the Toledo Labre Project and other activities reflecting our support of Sylvania Area Family Services, Bethany House, Habitat for Humanity, and variety of national and local causes. You can sign up to join us on the third Friday of each month for our outreach at Helping Hands of St. Louis Soup Kitchen. Reading the Campus Ministry LINK, weekly emails that contain current information on all related activities, and following us on Facebook Lourdes University Campus Ministry . You can find additional reflection resources and material on current social justice concerns at the Campus Ministry display in the Planetarium Lobby. Joining L.I.N.K. (Linking Interest, Need and Knowledge), a student organization that works with Campus Ministry to help plan spiritual, social, and service oriented activities that link students to the community. to study, relax, pray, share fellowship? The Campus Ministry House welcomes you! 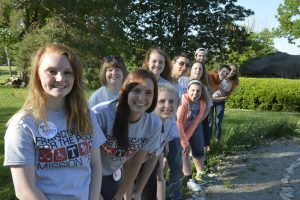 San Damiano is the hub of the Campus Ministry program for our students and other members of the Lourdes Community. Stop by during the day (M-F: 9:30 am – 5:30 pm) for fellowship, relaxation, or just to vary your study space. Or join us for one of these regularly scheduled events. On Monday evenings (Fall & Spring) starting at 6:00 pm, stop by for Doctor in the House – our drop in fellowship and tutoring gathering. Dr. Dwayne Beggs and Dr. Peter Sibilio are available for academic help…but the gathering is really about their famous burgers and treats. On Wednesday evenings at 4 pm (year round) be part of the Labre Outreach Project. We gather at the Campus Ministry House to prepare sandwiches, casseroles, and drink. Then we head out to two stops in the community where we distribute meals and share fellowship with some of our more anonymous neighbors. On Thursday evenings (Fall & Spring) at 7:00 pm, join us for Soup & Scripture. Begin by sharing in some hearty, homemade soup. Then at 7:30 pm we gather to share insights and reflections on selected Scripture passages. 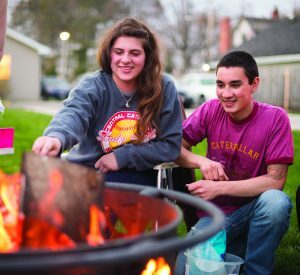 Like us Lourdes University Campus Ministry on Facebook, follow LourdesMinistry on Twitter and LourdesCampusMinistry on Instagram, and learn about cookouts, bonfires and other events! 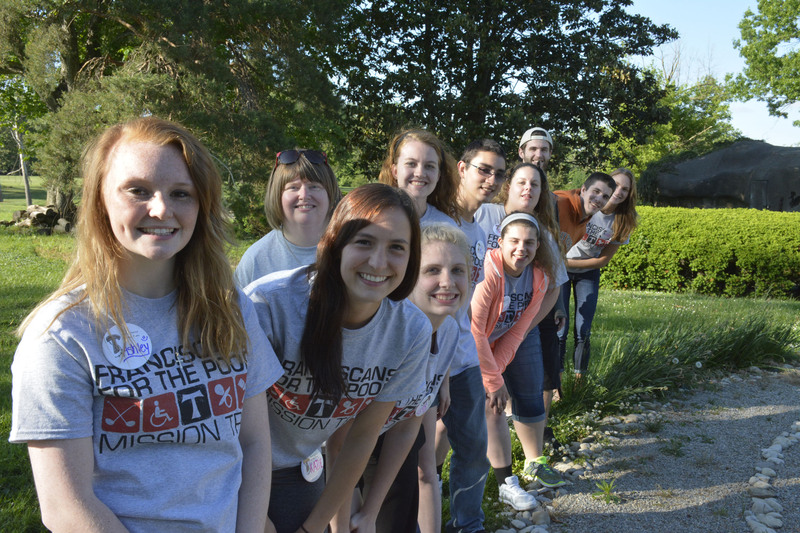 Labre Project: Are you interested in participating in our weekly outreach? Would you like to donate a casserole to this effort? Let us know by following the link to Labre information & sign up through December 2018 or to sign up from January through May 2019. Helping Hands of St. Louis: Join us on the third Friday of each month as we volunteer at Helping Hands of St. Louis Soup Kitchen and Outreach Center in East Toledo. We arrive by 8:30 am to help prepare the meal and then serve lunch and help clean up. If you would like to be part of this effort, follow the link to the Helping Hands sign up . Highway Clean Up: Each Fall and Spring, members of the Lourdes community spend a morning cleaning up “our little stretch” of I-475 through ODOT’s Adopt-A-Highway program. We’ll soon be scheduling a date for spring so check back and join us! Spring Break Mission Trip: This year we’re heading to Goldsboro, North Carolina to volunteer with Habitat for Humanity. The team departs on Saturday, March 9. Apply to be part of Team! Or follow them during the week on the Campus Ministry Blog. Summer International Outreach: In May, students will be traveling once again to Guatemala to volunteer at Valley of the Angels Children’s Home. The trip dates are May 23-30, 2019. Apply to be part of Guatemala Team!